These sound delightful! Definitely giving them a try. Just a hint, if you want your chocolate shell to harden up nicely and stay a bit more stable once they are out of the freezer, add a spoon of coconut oil while it is melting and stir well…It works beautifully. Can’t wait to try them! One trick when making truffles is to refrigerate the balls before dipping in chocolate—this helps hold everything together. 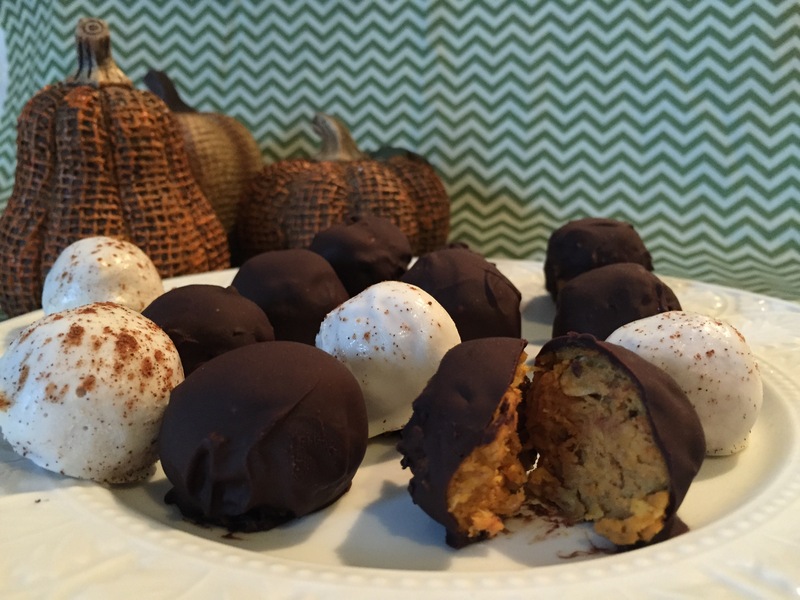 I used my own pumpkin puree instead of the canned stuff and found the truffles to be not as sweet as I would like. I would add a little sweetner next time.